A winter weekend of adventure, wellbeing and good times to chase the Northern Lights curated by Gymbox and Fixers. 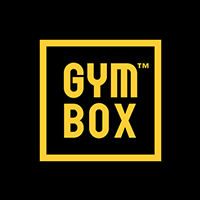 Join us on the wildest of weekends into the Arctic Circle to chase the Northern Lights in Norway for adventure, wellbeing and good times - Gymbox style. With the beautiful coastal arctic hideaway - Malangen Fjord Lodge as our base you'll spend the nights under the Northern Lights in your own sea-view apartment lodge. By day, snowshoe and trek to explore the remote and serene arctic forests and fells, take a husky safari into the wild, ride fat bikes, join in with arctic yoga and meditation to tune out and gain a deeper connection with your surroundings or book a session with a Gymbox trainer for a wilderness workout like no other. Then in the evening head back to the luxury lodge for a hearty but healthy meal with menus carefully planned by us with your arctic wellbeing journey in mind. Take a jacuzzi, wind down in the sauna ready to warm up for a wild night of parties! Luxury lodge apartments on the tranquil shore of a spectacular fjord. Set on the coast of the spectacular Nordic fjords, these luxe and cosy apartments feature enormous windows that offer panoramic views and peaceful sounds of the sea. Cabins and rooms are decorated in authentic Scandinavian style, complete with pine furniture and wall art inspired by the spectacular scenery. Dine on locally-sourced meat, and fish sustainably-sourced from the surrounding waters in the restaurant, before unwinding in your own sauna.